You are here → Home → News & Events → U14 Girls make it 2 out of 2! U14 Girls make it 2 out of 2! Following on from a tight 1 point win last week against Round Tower (Clondalkin) in horrendous conditions we packed our squad of 24 off to play Thomas Davis. The ever changing team (we were in the enviable position of having 9 subs) put on a spirited display which we have come to expect of this great group of girls and thanks to goals by Danielle Mc Fadden, Ruth Lenihan Niamh Costello and Rebecca Wall and points from Ciara Mullin 0-2 and Robyn Doyle we were victorious. 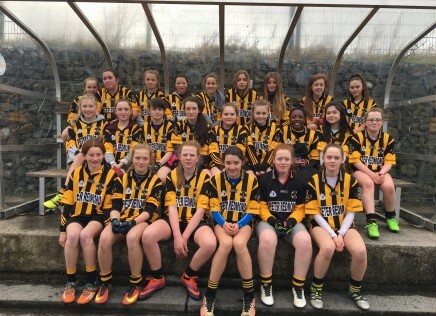 Thomas Davis have some very talented footballers too and didn’t give us any easy scores making the girls fight for every ball! Well done all and we’re looking forward to playing Erin’s Isle next week at home.